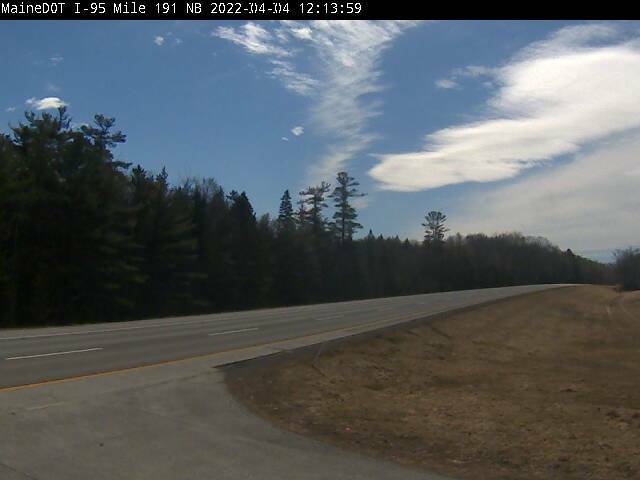 Webcam Orono, Maine: I-95 Southbound near Milepoint 191 - A view of the current traffic. 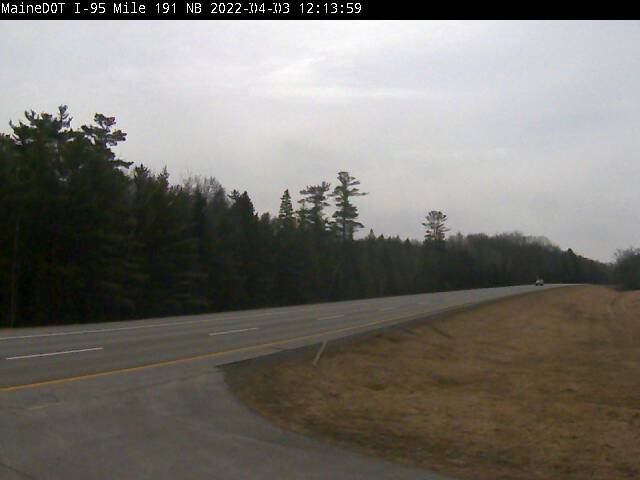 Bangor, Maine: I-95 Southbound Near Kenduskeag Avenue Bridge, 6.5 mi. Carmel, Maine: I-95 Southbound Near Milepoint 177.2, 13 mi. 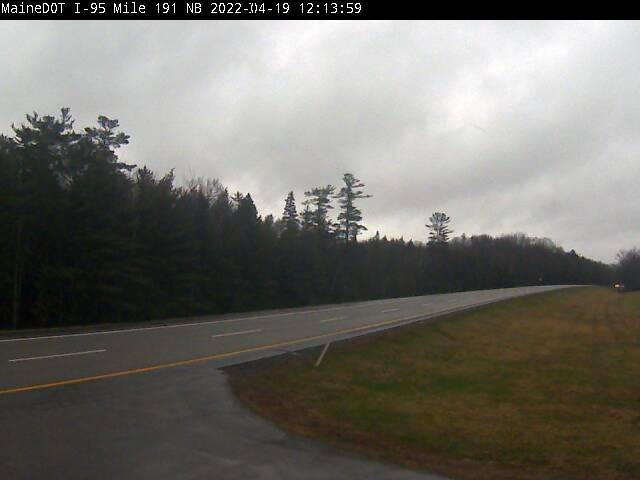 Newport, Maine: I-95 NB Northbound Milepoint 159.1, 27.6 mi. Ellsworth, Maine: Ellsworth Waterfront Park, 27.7 mi. 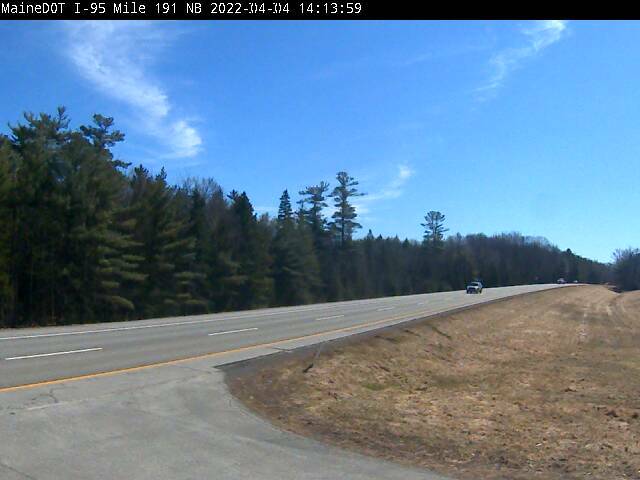 Lincoln, Maine: I-95 Northbound near Milepoint 229, 35.8 mi. Lamoine, Maine: Lamoine Beach Rd., 36.2 mi. 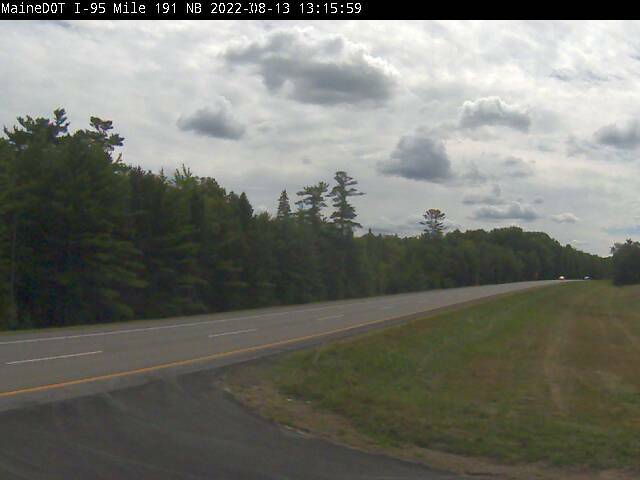 Medway, Maine: I-95 Southbound near Milepoint 241, 48.2 mi. Winter Harbor, Maine: Sea View, 49.2 mi. This webcam Orono, Maine with the theme Traffic was added on February 11, 2015 and is operated by MaineDOT. It got 96 visitors since then. Shouldn't this webcam work or should the link be wrong please report that here. You can add this webcam here to myCams.